A gloomy November afternoon can be a hearty afternoon if you have a great array of delectable food. 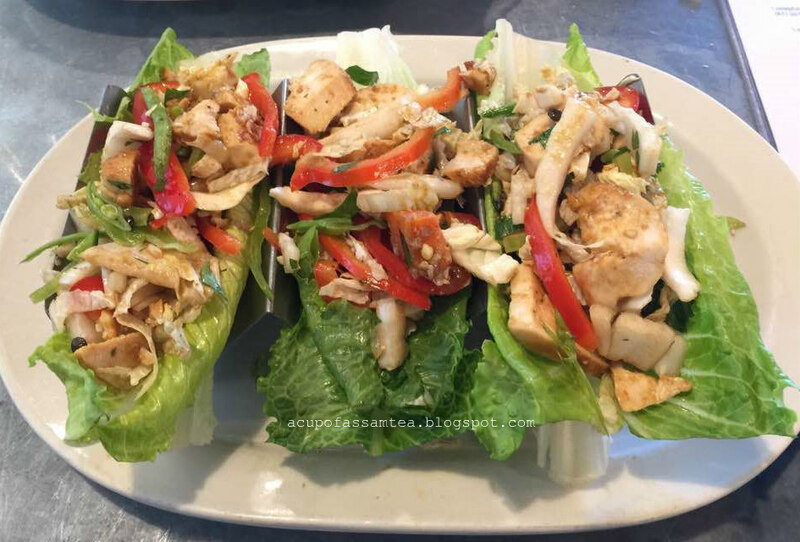 The thought made us visit blue plate kitchen with their conscious choice of locally sourced sustainable food. Modern set up with an open kitchen concept, a gracious welcome greeting made our warm-up instantly. 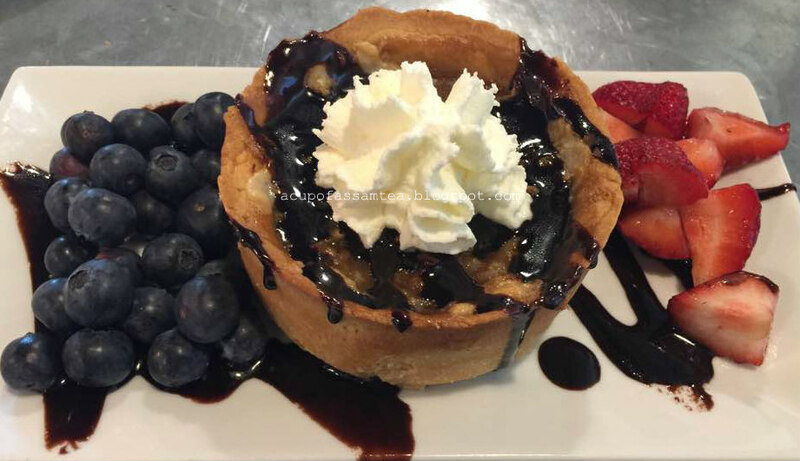 As brunch was getting served in the afternoon, we ordered from the eclectic brunch menu, a perfect melange of American affair with global cuisine. We started our day with fresh squeezed orange juice. Little pulpy but with a homey and fresh feel personified. For the appetizer, I opted for Mediterranean platter. 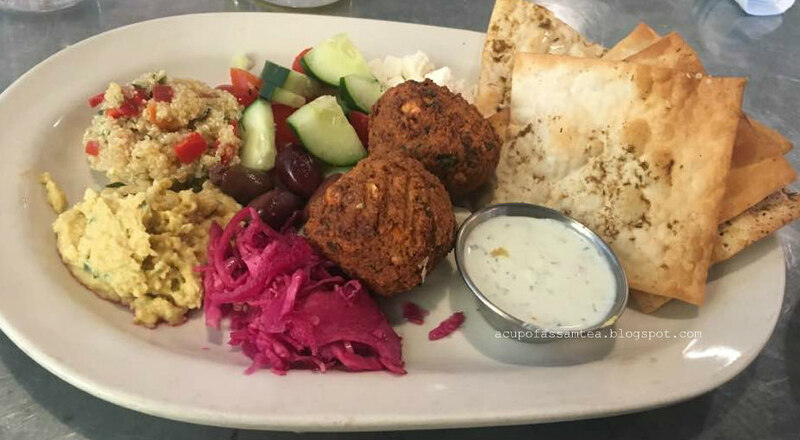 It consists of hummus, falafel, quinoa, tabouli, feta cheese, kalamata olives, pickled cabbage, cucumber salad and herbed crisps. An excellent appetizer choice for anybody and everybody with a decent amount. A combination of little guilt and guilt-free choices. I love crisp falafel and hummus. My son chose ginger chicken, a healthy choice of protein with a handful of curated veg choice, mint and ginger with lettuce. Succulent at the same time a high pick for the healthy eater. It was so filling that he did not care for the main. As I said earlier, their quantities are large. 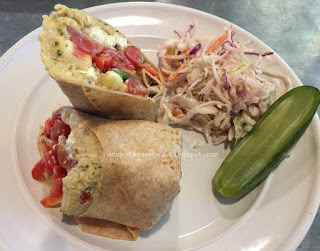 No wonder as a Mediterranean cuisine admirer, for mains I had it again, a veg whole wheat with wrap hearty hummus, feta cheese, crunchy cool cucumber and quoina tabuli inside and bed of salad and pickle cucumber on the side. A decent entry for lunch choice and you can also add your choice of protein. We ended the gloomy November day with a sweet note of oven-hot coconut cake and a wide array of strawberry and blueberry with housemade whip cream on top. My son said, he had the best dessert after a long time, and I can't agree more. The pictures make the food look so tasty! Sounds like a great restaurant! Love the ginger chicken and that coconut cake! Everything looks and sounds so good! I have been meaning to try Blue Plate the next time I’m in the Hartford area! Oh yum, all of this food looks tasty! I would love the dessert. The pictures are really nice and really make the food look good. That dessert looks super tasty! Now this sounds like a place to stop for a bite to eat, the idea of coconut cake has me right now! I would love to give this place a try. The ginger chicken looks so delicious. I will have to check it out the next time I am in the area. I like the idea of the ginger chicken. It reminds me of Chinese Egg Rolls. It has ginger which spices up any recipe along with vegetables. It looks delicious and I am sure it tastes delicious too. Brunch is my favorite meal! That ginger chicken is something I would totally order. I love honest reviews of restaurants. Thank you for sharing! The coconut cake looks delicious. I love everything that's coconut. I've never had coconut cake! That sounds really good, would be curious to give it a try! I have never had coconut cake this looks so delicious I am going to have to give a try asap! Ginger chicken was a really good choice. I had some the other day that was amazing. Looka delicious, am curious about this coconut cake. Yummylicious! This food looks so good. I would seriously be able to eat this every day with no issue. That coconut cake is making me craving for one right now. It looks yummy!